Paul Gionfriddo, the President and CEO of Mental Health America (MHA) has called for a “B4Stage4” an organization status when it comes to Mental Health Care in the US. 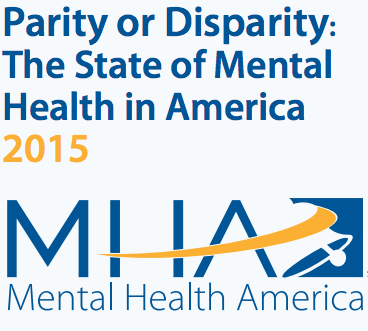 The MHA report, titled “Party or Disparity”, The State of Mental Health in America, “ranks the prevalence of mental disorders and access to care in all 50 states and the District of Columbia. Yet, more then 42 million American adults experience a mental health problem. Meanwhile, a shortage of psychiatrists and heavy out-of-pocket costs for treatment complicates the inadequate availability of services. So with so many cut backs and lack of real understanding when it comes to mental health, its no wonder most mental health clients struggle to keep their doors open. In fact I’d have to say people who actually devote their time and energy to such a profession has to be….